Learn everything you need to heal yourself, others, plants, and animals with Reiki energy. Reiki is a Japanese form of stress reduction and relaxation that facilitates healing. 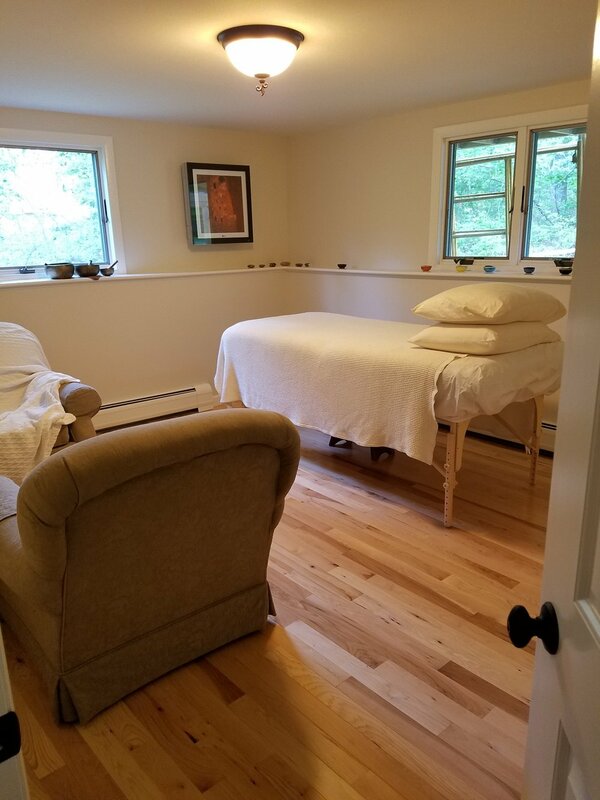 Equally valuable for healthcare professionals, spa therapists, and lay people, a Reiki course can change your life in profound ways and put you back in touch with your true self. The Psychic Development Course as a weekly meeting! This is a Reiki Second Degree Certification Course. This course is taught by Reiki Master Constance Messmer who will use her psychic skills to enhance students’ experiences. Constance will be at the MVH 24th Annual Health Fair giving sample Reiki sessions. Come out and experience this wonderful showcase of programs that encourage and support your health! The Psychic Development Course as a weekly meeting! This course is life-changing. Through experience students will learn to differentiate and use the various psychic receptive centers, come to understand the technical difference between mediumship and psychic reads, and enhance connection to your higher self! Gather over a cup of tea and join us for a day of renewal. This Reiki Refresher Retreat is free for any of Constance Messmer’s certified practitioners. This is the first course of Usui (traditional) Reiki but not a typical Reiki class. Constance will use her psychic skills to enhance your experience. Two full days of class will give you the strong foundation and extra practice time you need to feel confident in your new-found healing abilities. After this course you will be able to do Reiki treatments on yourself and others. A fast-pace intensive that is packed with fun, experiential, and helpful skill-building exercises to build your psychic prowess. This Reiki Master Class enhances your own spiritual journey as well as empowering you to teach this lovely form of healing. You will know in your heart if you are destined to be a Master. This Reiki Second Degree Workshop will include assessing past life connections to people and places so that healing and greater understanding can take place. You won’t want to miss it! This is the first course of Usui (traditional) Reiki but not your typical Reiki class. I will use my psychic skills to enhance your experience. Two full days of class will give you the strong foundation and extra practice time you need to feel confident in your new-found healing abilities. A $50 non-refundable deposit is due at time of registration. I will be reading from my collection of short stories and flash fiction. This has nothing to do with my psychic/spiritual work, but I do find it a wonderful way to spend some time. There are a number of island writers who will be reading their works. Perhaps you want to read yours, too. Follow link for more details. Reiki Clinic at the Howes House. This will be the last Reiki Clinic offered before a summer break. Howes House has been lovely to sponsor this free event especially for seniors, but open to anyone. Offered by appointment only, please call the West Tisbury Council on Aging to book.